07.08.2015. (Hvino News). 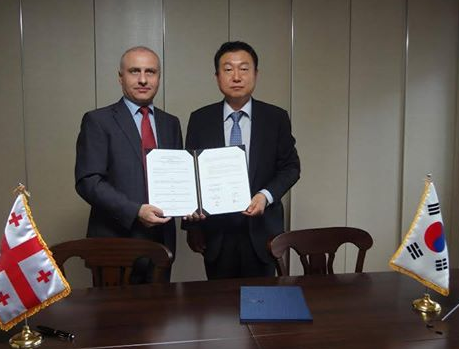 With active involvement of the Embassy of Georgia in the Republic of Korea, on July 24th, 2015 the Memorandum of Understanding was signed between Georgian National Tourism Administration and Korea Tourism Organization in Seoul, Korea. From Georgian side, the document was signed by the Georgian Ambassador in the Republic of Korea, Mr. Nikoloz Apkhazava. The Memorandum aims to strengthen ties between the two countries, support the exchange of information and contribute to efforts of increasing the flow of tourists.